charmcityartsmaven: MARK YOUR CALENDARS | Women's Performance Workshop Public Presentation! MARK YOUR CALENDARS | Women's Performance Workshop Public Presentation! ADMISSION: FREE! No reservations necessary! The Women's Performance Workshop Public Presentation is the culminating event of a two-day workshop dedicated to developing a community of women. Using the template of consciousness-raising groups that sprung out of the Women’s Movement, the women’s performance workshop creates a safe space for women to talk about their personal lives and socially relevant issues. The public presentation, collaboratively crafted from these conversations, reflects the breadth of the participants’ experiences. Come support and bear witness to our stories! 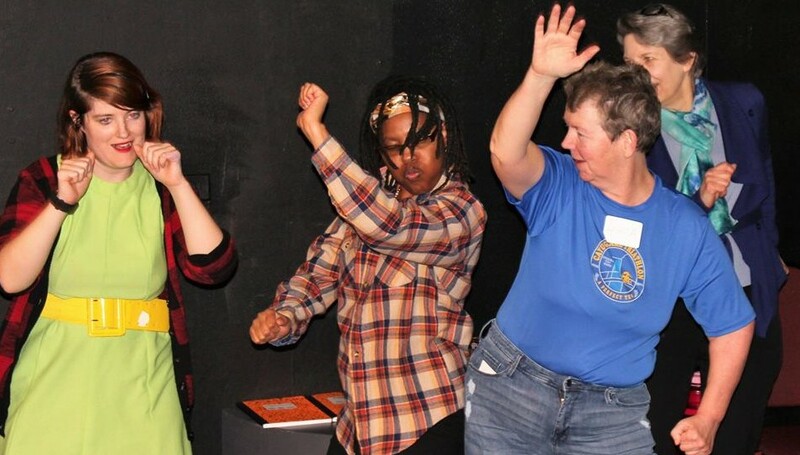 “The Women's Performance Workshop was a new way for me to engage with other women-identified people through theater. I've worked on plays with all women casts and have experienced hashing through some of the issues that women uniquely experience in the world – but never have I been in an environment where all participants wanted to reveal their own experiences with such joy and freedom. *The WPW is made possible by Engaged Cornell.